“I’m not a judge, but when I think something is wrong and it needs to be righted… he’s here and he got paid his win bonus,” said UFC president Dana White at the UFC 144 post-fight press conference in Saitama, Japan, on Saturday night. White has never been one to hold his tongue, and when it comes to referees and judges, he’s been much more than vocal. He’s been a virtual vuvuzela, bringing attention to one of the more desperate issues in mixed martial arts in need of an overhaul. The UFC exec was answering a question about what he thought of Takeya Mizugaki’s fight. 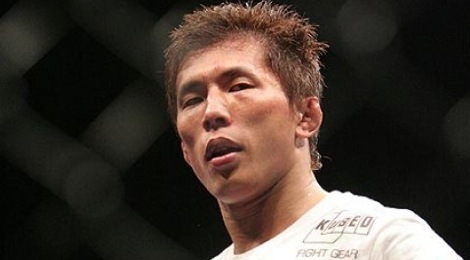 Mizugaki face Chris Cariaso in one of the UFC 144 preliminary bouts. He took Cariaso to the mat several times, grounding and pounding him, being the primary aggressor throughout the majority of the fight. When the scorecards were ticked off, so were the vast majority of fans that sounded off on Twitter and Facebook. Evidently, White was as well. Cariaso got the unanimous nod from the judges, while a vast portion of the vocal majority saw it the opposite way. White agreed. He couldn’t alter the outcome of the bout, but he could mitigate the damages. He couldn’t hand Mizugaki a W, but he did award him his win bonus.